KASHMIR LIFE (KL): You have been to Pakistan recently, can we know where do India and Pakistan sit right now in the bilateral relations? 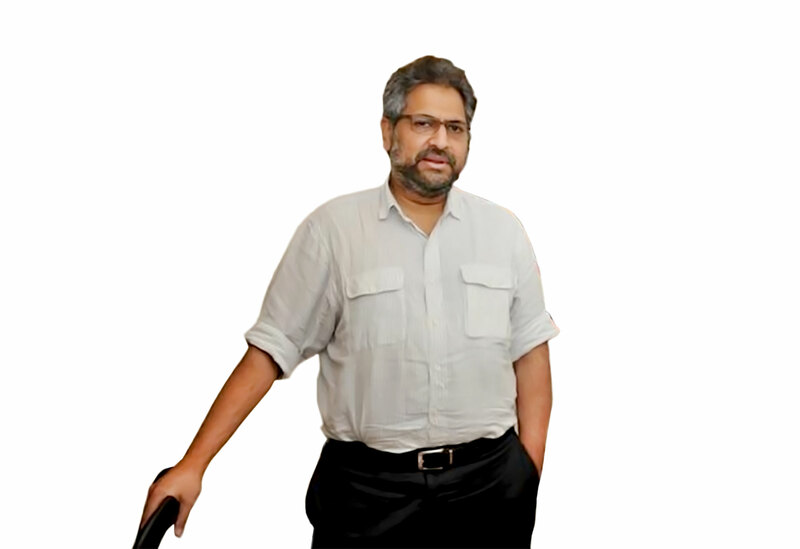 SIDDHARTH VARADARAJAN (SV): Right now, the relationship is perhaps at the lowest. In Pakistan, at the official level, particularly after the government of India’s flip-flop on the New York meeting, the people are upset; they feel they took an initiative in India for domestic political reasons. Modi government, they say, didn’t want to proceed and handled it very badly. KL: Where do you place the state and the status of the situation of Kashmir in this backdrop? SV: Well, I think the Kashmir situation is worst for a long time. It is not a coincidence that Indo-Pak relations are at a low point and the situation in Kashmir is also at a low point. The government of India seems to be bereft of any ideas about how to handle the situation in Kashmir. The government has an entirely different view of the origin and nature of the Kashmir problem. It is entitled to that view. But you can’t lose the sight of the importance of democracy; the side of human rights, the basic decency, in terms of the way you deal with the people. I am afraid the way the current government is looking at public opinion and at people sentiments in Kashmir; they seem to think that using force and cracking down are going to somehow magically produce the solution. They have alienated and weakened the mainstream political parties. The PDP, which had a certain standing and credibility, has no credibility at all, mainly after BJP violated the terms of the coalition. Mehbooba Mufti’s own reputation is at its lowest point. National Conference is again struggling. So you have a situation where mainstream political parties which provided some avenue for some “normal politics”, (but) their spaces have shrunken. So you have a vacuum which is being filled by disenchantment and disaffection; young people don’t know where to go. It is not surprising that despite the Governor boasting that militants have a limited shelf life – I think it’s a very unfortunate word to use, despite that we see young boys still coming forward. This tells you that there is a sense of alienation, frustration, and people want to find the way out of the solution. The Modi government should have come up with something that is creative; some democratic initiative that will address peoples’ concerns. They are not doing it. KL: Is this vacuum leading to a sort of change in Kashmir politics? SV: I think that the first challenge is going to be when the general election is held. In Anantnag, the Election Commission is not able to hold the by-election − which kind of forces are going to come? What credibility they will have? Unless the government has some kind of roadmap to get out of the Governor’s rule and form a government in which you have some possibilities of the stable majority, I think we are entering probably in a long period of governor’s rule. That is the vacuum where normal politics ceases to exist and that vacuum other forces are going to move forward. It is a kind of politics, but it is not the politics that people sitting in Delhi are going to like. I think this is something that they should pay attention to. Unless you create space for democratic political activity, that space will be filled by something else. KL: Will it surprise the concerned citizenry in India if most of the municipalities are managed by the BJP in Kashmir? SV: It sounds like a paradox that BJP which is seen in the rest of India as an anti-Muslim will control municipalities in a state which is majority Muslim. The fact is that I think first of all this is a product of a system where two parties boycotted, you hardly had any candidates, many people were elected unopposed. So I don’t think we can use it as a barometer of any kind of true political support. Historically, when it comes to elections and political affairs at the level of the municipality and Panchayat, even state governments have a practical approach, because you need government to deliver day to day things. If the municipality and the government are from the same party, it may get an opportunity to prove that it was able to deliver on things that other party is not able to do. But I doubt very much that it will prove to be very durable when it comes to the larger question, people call Masl-ai-Kashmir. I would say the result has a bearing on that wider problem and that wider debate. 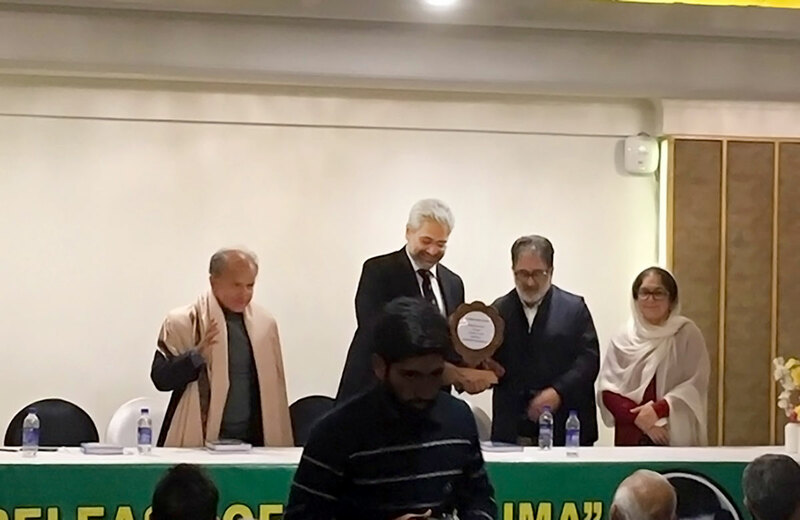 KL: Do you see Kashmir a sellable commodity in 2019 elections? SV: I would have hoped that whether this or any other government would have used the time, given its majority, to craft a genuine inclusive democratic rights-based solution to the problems of Jammu and Kashmir. Then, they would have essentially gone to the rest of India to say that look we found a way to address the problems of the state by carrying the people along and respected their aspirations. But unfortunately, Mr Modi has squandered that opportunity. An Agenda of Alliance document with Mufti Sahab provided BJP with an open window to actually do something that might have been transformative whether on domestic track of Delhi-Srinagar or on the India-Pakistan front. It seems BJP and Modi never intended to implement the agreement, so he lost that opportunity; so now he can’t go to people of India and say look we have done something positive in Kashmir. They will go and try to say that we are cracking down under the so-called muscular policy on Kashmir but you know it doesn’t impress voters in India, like in Madhya Pradesh, Odessa, Tamil Nadu, UP, Delhi or Punjab. I think people in this election are going to vote on their assessment whether the BJP has filled its election promises, on the employment front, the agriculture, the improvement of the cities, sanitation. The people are going to find Modi wanting and no amount of a hard line stand on Kashmir or even in Pakistan, I think, is going to be able to change that perception. I don’t think Kashmir is going to be the game changer. KL: Seeing the situation in reverse, how do you see NC and PDP making their politics relevant in Kashmir at a time when secularism and democracy are so weakened? This, I am asking, in wake of the historic evolution of the narrative that Kashmir acceded to India because of secularism and democracy. SV: I would say it is not just in Kashmir, it is at all India level. Secularism, for sure, is under attack; you have an attack on India’s composite culture. You, on the one hand, take the view that India is a country that belongs to people of all religions and then also push a line that we are all Hindus. So the ongoing attacks on secularism weaken the base for the mainstream politics in Kashmir. Parities like the PDP and NC, Congress would go to the electorate and say that we want you to take part in the election; even though you may disagree with Kashmir’s accession, but let’s take part in the election and see what we can get for ourselves within the Indian union. Whatever the arguments they are making to counter the arguments of separatism but when you have people getting killed for the kind of food they eat, so much propaganda against Muslims being lynched in different states in India and national spokesman of the BJP and media people, engaging in communal talk, I don’t think it is strengthening of the case of those who talk about Kashmir being an integral part of India. It rather weakens the position and this is something BJP needs to recognise. You cannot have indefinite governor’s rule. You cannot rule Kashmir through militarily and security forces. You have to have an elected government and you only have that if political parties have some kind of credibility among the people. Thanks to Modi he has pulled the rug under their feet. A vibrant party like the PDP, which rose, in a way, to voice the aspirations of a large section of Kashmiris who are frustrated with the status quo and were willing to give a chance to the electoral politics, you have pulled rug under the feet of Mehbooba and PDP leaders in a way that destroyed their credibility. I don’t see how this is going to benefit Delhi or the government of India. This is something that really Modi may have to answer. KL: Media is a vital part of the democracy, but what is its status within India and in J&K? SV: Media is under pressure in Jammu and Kashmir because of the activities of security forces, internet shutdowns. Whenever journalists go to the spots of encounters, they are attacked. They are arrested and are accused of being pro-militant. There are financial pressures on newspapers and then you have the assassination of Shujaat Bukhari, which is still unresolved. All this makes it very difficult for media to function in J&K. The fact is that stories are very complex and it is very difficult to get information on the functioning of the state, and security forces. You have the pressure of militant groups also. In this complex environment, my heart goes for journalists who are struggling to do the work here and it is a big challenge. In the rest of India, the problem is that working conditions are not as bad. There is a lot of self-censorships, refusal to ask certain kind of questions and to cover certain kind of stories. Then, you have sections of media that are actually playing communal politics, divisive Hindu Muslim politics on behalf of political parties. I would say that we are in a dangerous situation today where the media is not functioning as the mirror that it ought to be, and this impoverishes democracy as a result.